Mill End Job Club runs on Wednesday afternoons between 1pm and 3pm in one of the rear halls. We are open to everyone over the age of 18 and includes assistance from fully qualified careers advisers in looking for apprenticeships; training courses and career choices. We also have enthusiastic volunteers who have a wealth of experience in various careers who are keen to help those in their quest for work. Laptops are available to use, on site, on a first come, first served basis and access to FREE Internet. Memory Sticks can be borrowed on which to store your CV, Covering Letter etc for a small deposit of £1. 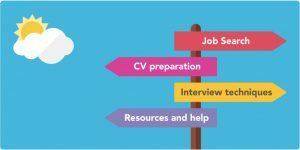 From time to time, we have local employers join us who can give general advice on successful job hunting, plus importantly, the job opportunities they have in our area currently. If you already have a CV, please bring it with you. We also recommend you keep your CV stored on a memory stick, so that you can access it from any laptop or computer. We have memory sticks for temporary hire at Job Club. A warm welcome awaits you at Mill End Job Club.